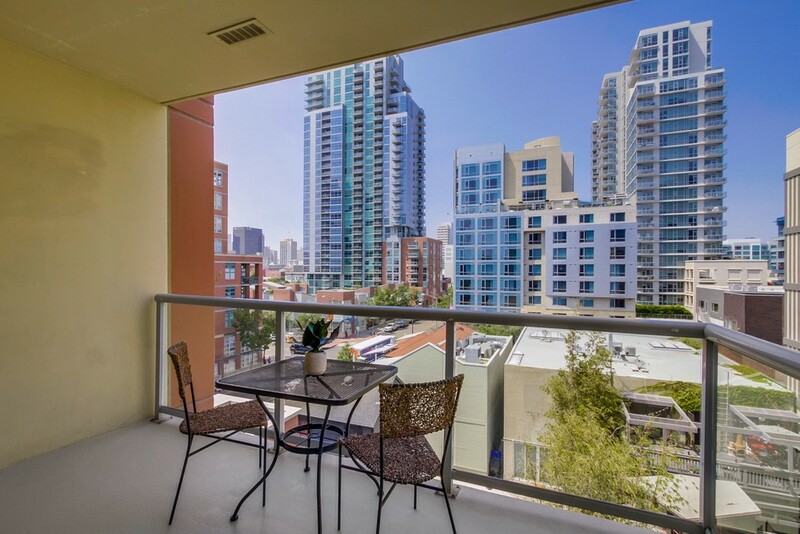 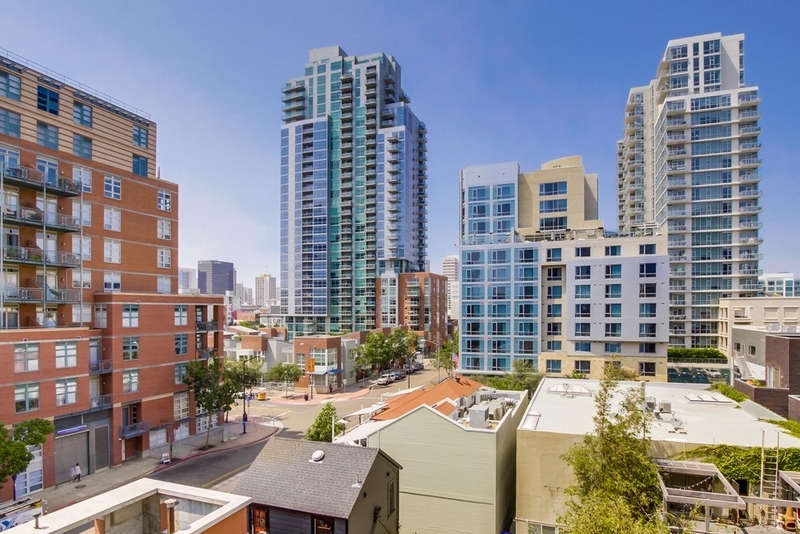 Diamond Terrace Condos are located on the northeast corner of J Street and Ninth Avenue in Downtown San Diego’s East Village neighborhood. 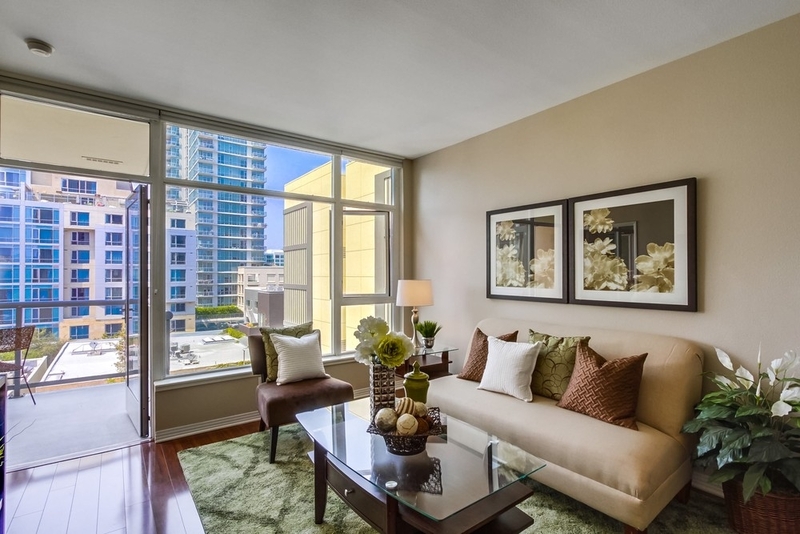 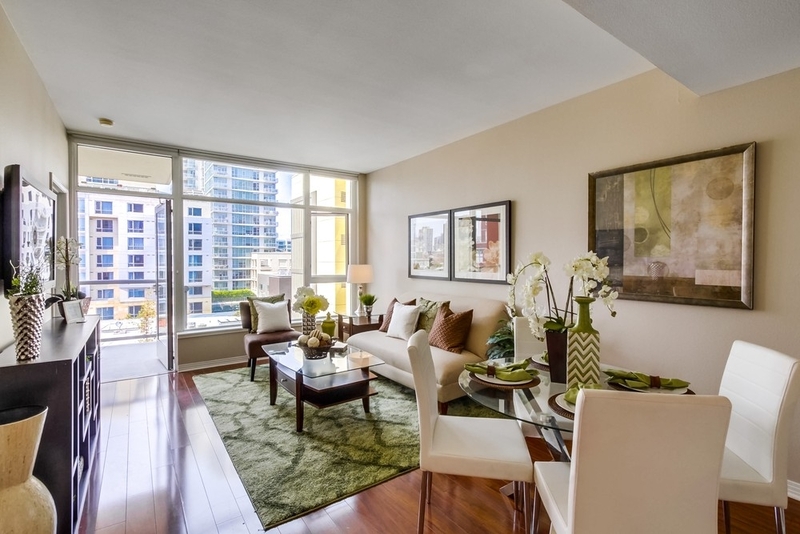 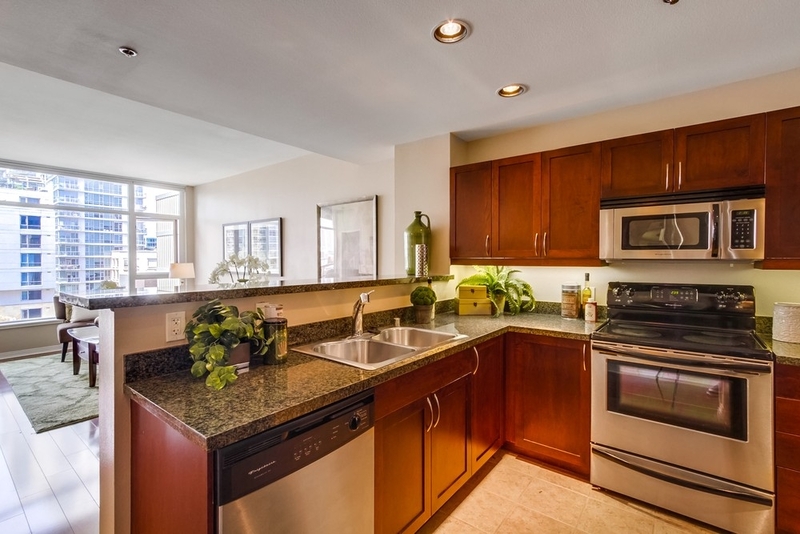 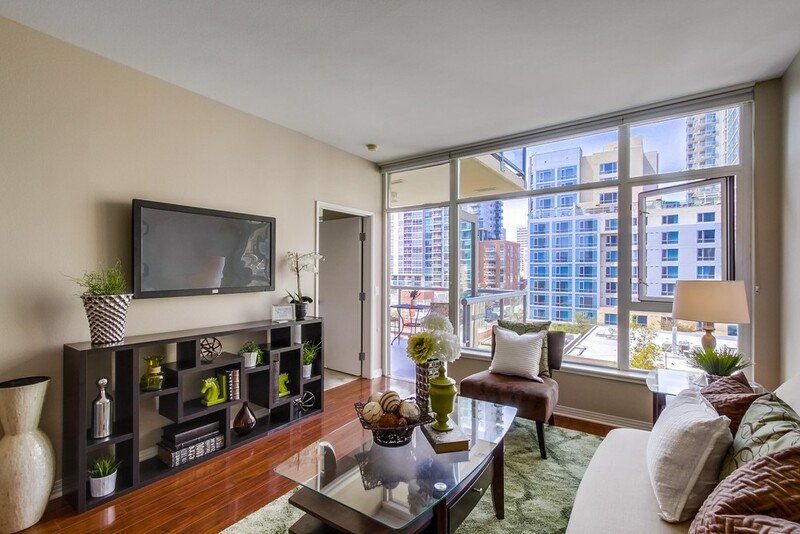 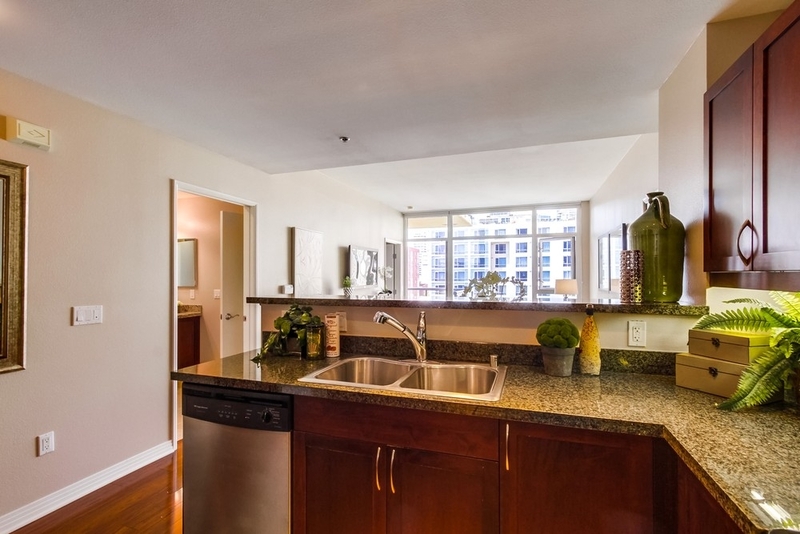 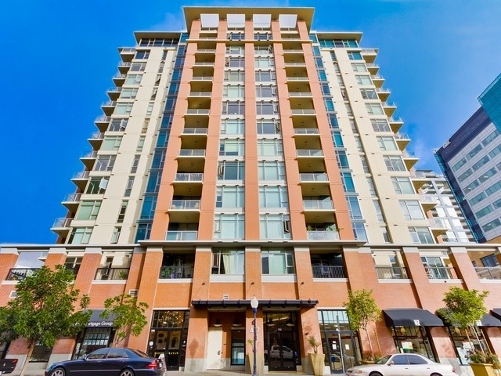 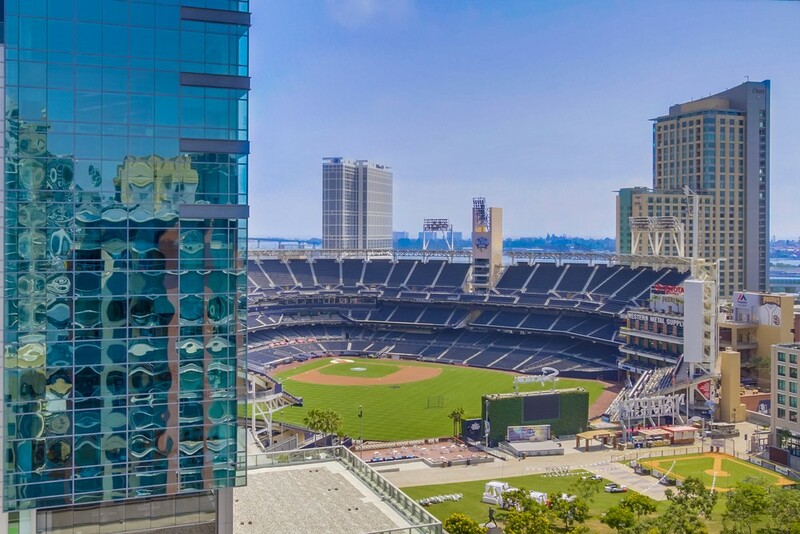 It is one of the closest condominium buildings to PETCO Park, home of the San Diego Padres. 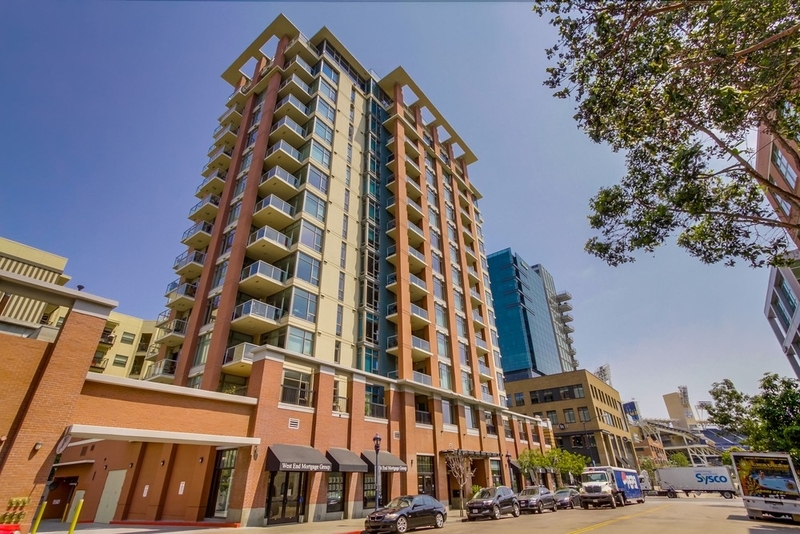 Residents enjoy use of Park at the Park’s open green park spaces, playground for children and ample space for dog walking. 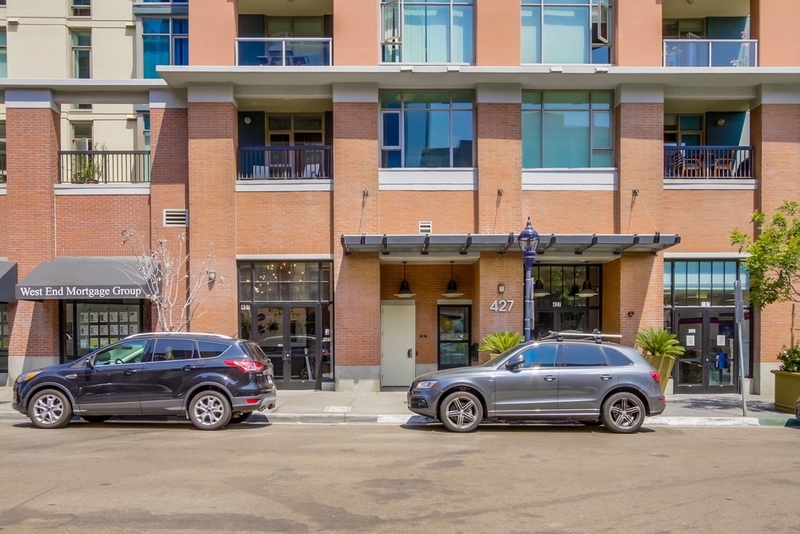 Park at the Park is also home to Rare Form and Stone Brewing Tap Room. 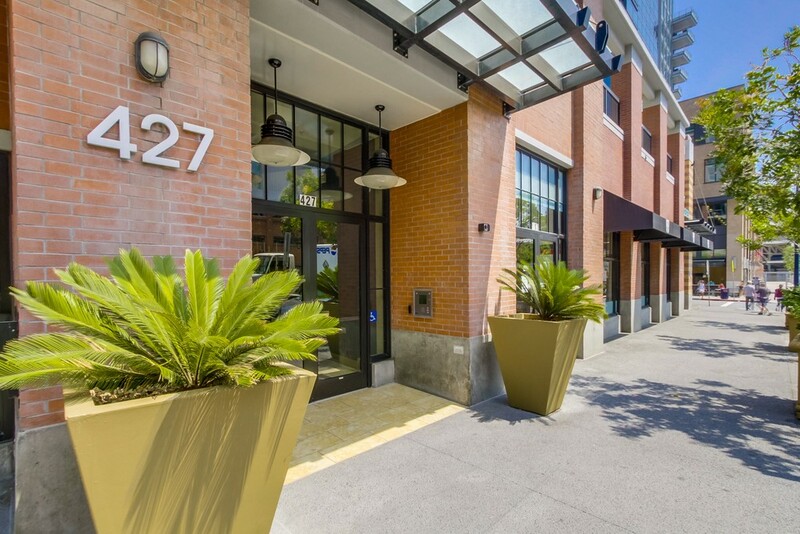 Built by Intracorp in 2005, Diamond Terrace San Diego consists of 113 condos and 11,000 square feet of retail space which is occupied by a 7 Eleven and West End Mortgage. 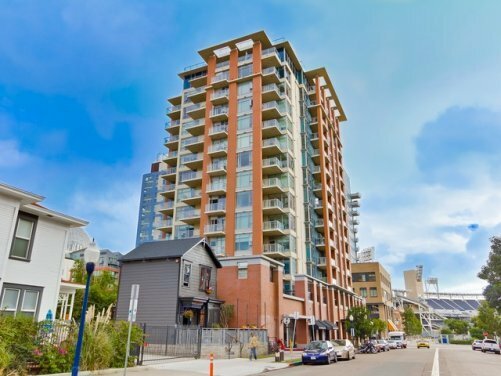 Diamond Terrace condos are located next to a great detached house turned brewery, Half Door Brewing Company, one of San Diego’s liveliest pizza joints, BASIC Pizza, is just around the corner from the front door and San Diego’s hottest gym, Fit, is less than 2 blocks away. 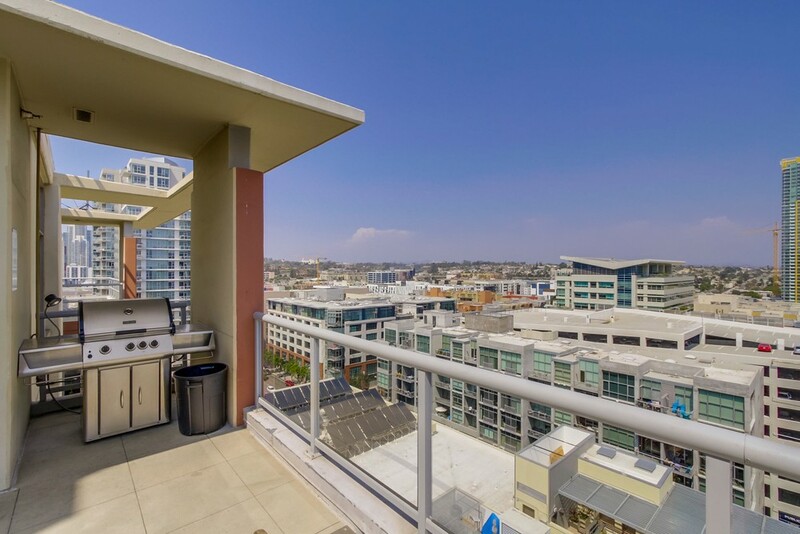 Diamond Terrace San Diego condos are located just a few blocks away from the Historic Gaslamp Quarter and all of the dining and entertainment possibilities one could imagine. 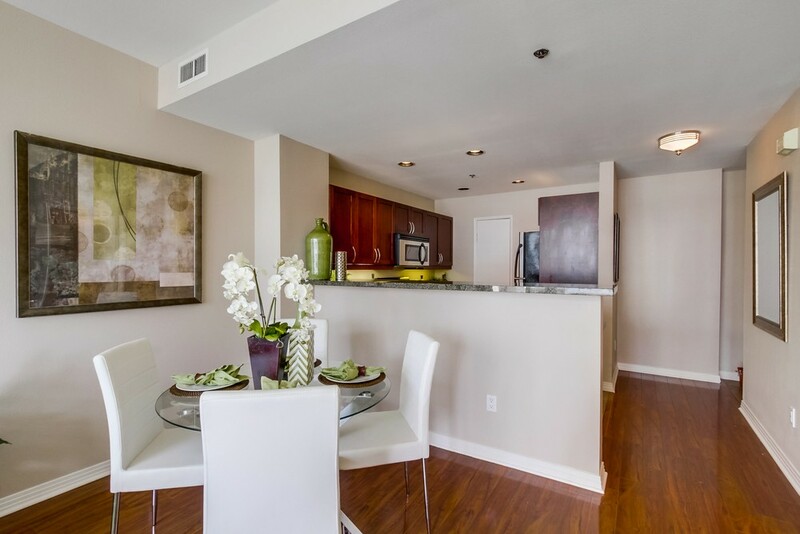 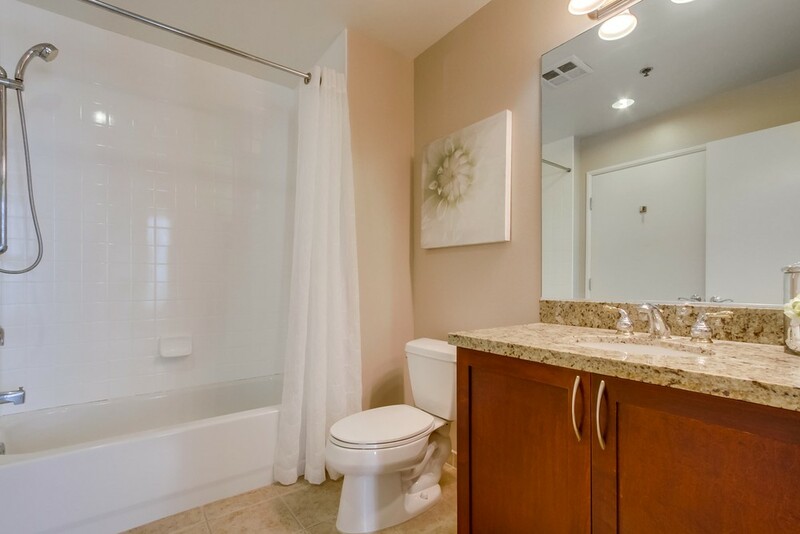 Diamond Terrace floor plans include one and two bedroom layouts with square footage varying from 750 to 1,200 square feet. 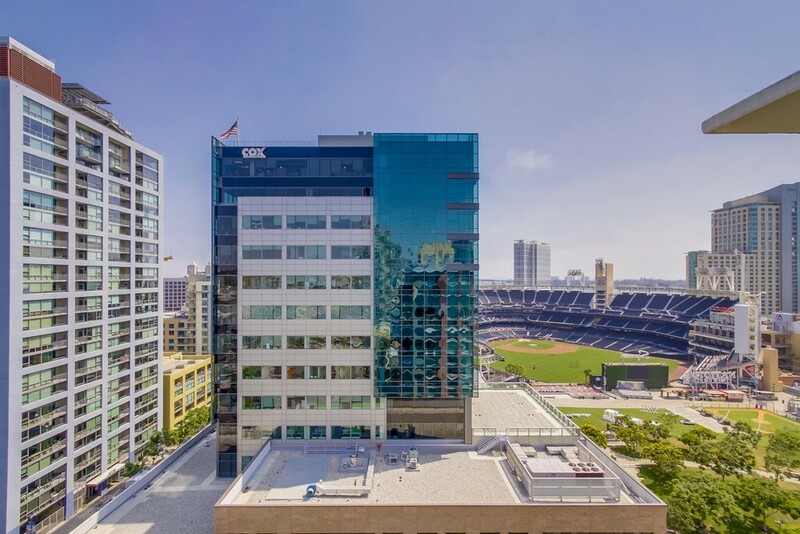 Some of the units on the south side of the property have direct views into the ballpark and San Diego Bay without even leaving the couch! 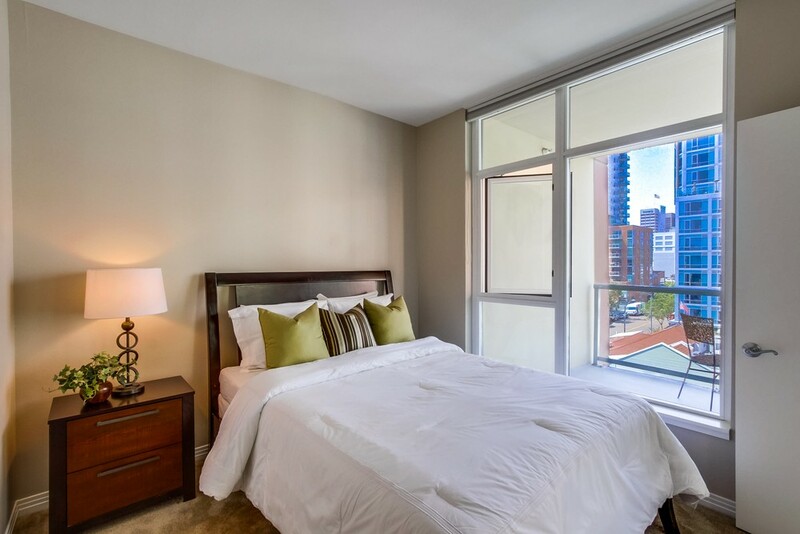 Some of the lower floor units have very large terraces which make up for the lack of views. 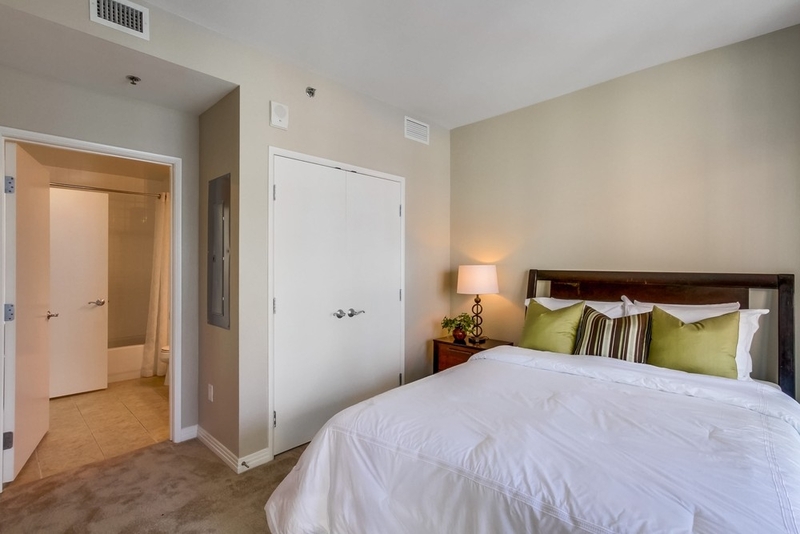 HOA dues at Diamond Terrace are moderate, varying from $350-$500. 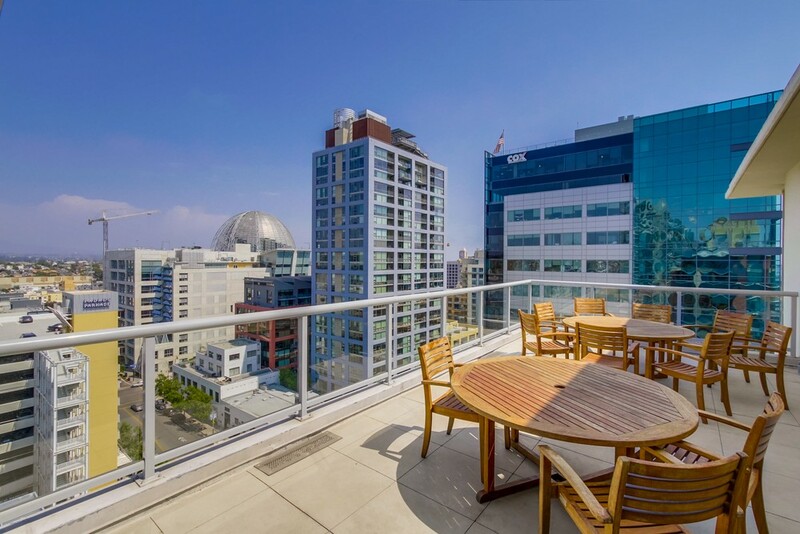 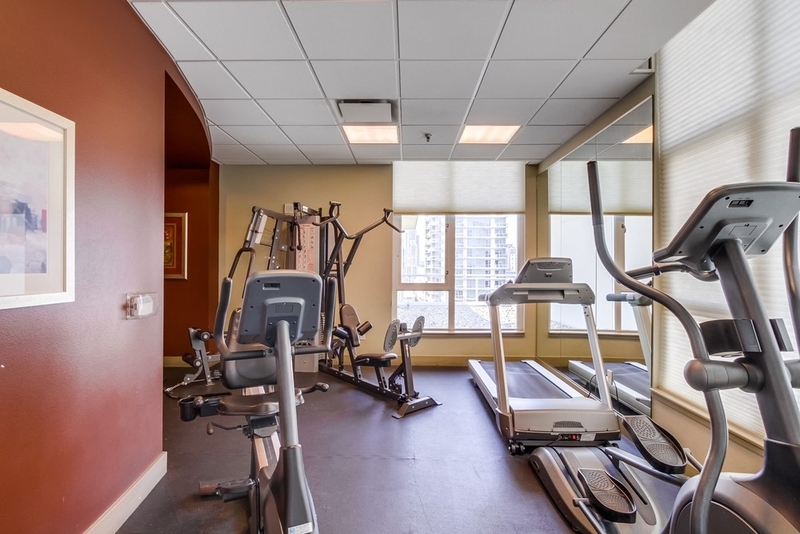 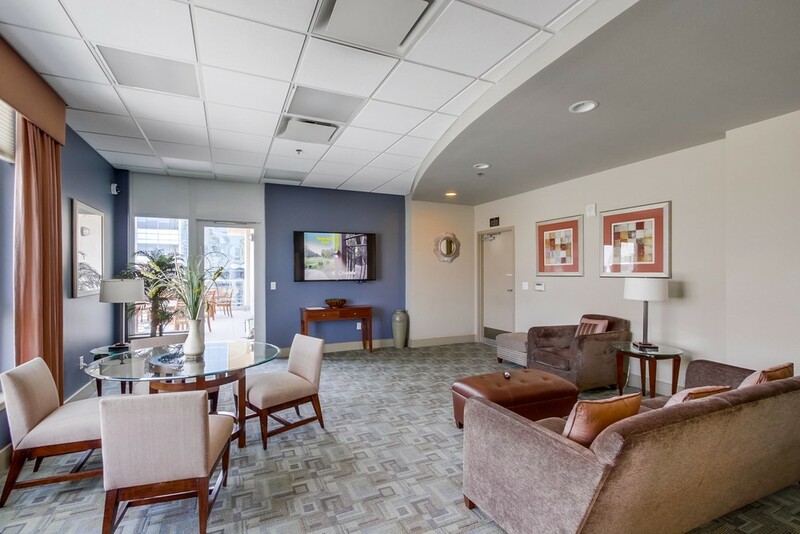 Diamond Terrace has a 14th floor community recreation room with lounge seating, big-screen TV and an outdoor terrace with BBQ and views into Petco Park.